What is the (global) village gossiping about? Published online December 22, 2011. It used to be that education primarily took place in a classroom. These days, the chalk and blackboard are fading away and steadily being replaced, or at least complemented, by new technology. Even in some of the world’s hardest-to-reach places, cell towers and solar-charging stations are re-inventing the learning and communication experience. Alongside the traditional classroom teacher are laptops and cell phones, paving the way toward a whole new way of seeing the world. A world of data is at your fingertips, quite literally. The advent of personal computers and increasing interest in making information open and accessible to all means that we now have the ability to answer many questions faster and more accurately than we ever thought possible. Information on everything from economic growth to weather patterns to flu outbreaks is just a Google search away. Data and data sources are not without their flaws, but we can often see broad patterns much more clearly across and within countries than we once could. The question is, how can we take advantage of new and ever increasing sources of information? Perhaps one of the most novel uses of data pieces together the wisdom of the crowd. In particular, Internet search terms are an amazing guide to all sorts of phenomena we care about, including public opinion on politics and policies, investment interests, and even trends in infectious disease. What kind of information are people searching for? What are the questions to which they seek answers? One can of course look at broad trends in search engine search terms across countries, something similar to looking at words and topics that are “trending” on Twitter, but one can also look for more specific information. 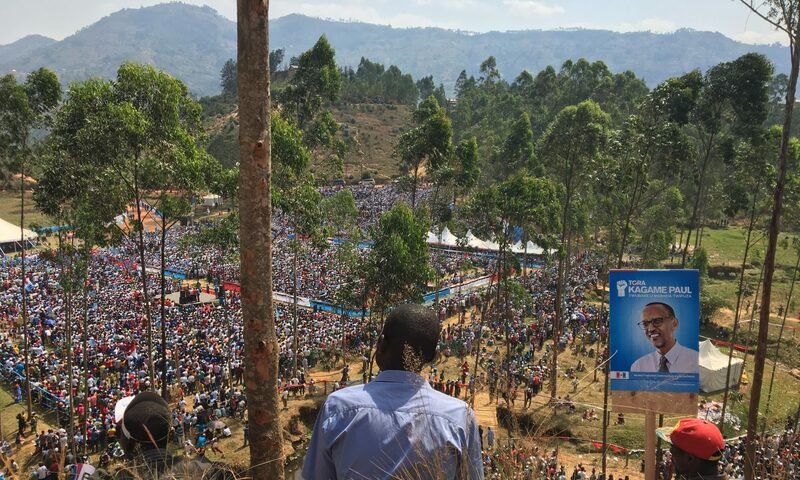 How many people in the U.S., Europe, or Asia look for information about Rwanda, for example? What kind of information do they look for? Google Insights for Search can help answer these kinds of questions, and reveal interests from potential investors, tourists, and others that can be useful to the local business community, government, civil society, and individuals. If you look at the most frequent search terms related to “Rwanda” used by those living in the United States, France, or even China, you’ll find that most are related to the genocide or the movie, Hotel Rwanda. Within the U.S., searches for “Rwanda genocide” spike every April and May, although the spikes are becoming smaller over time. This is some indication that while the world still heavily associates Rwanda with genocide, this association is becoming weaker with time. Searches for “Rwanda safari” or “Rwanda gorillas” increased greatly in 2005 and 2007 respectively, and most of these searches came from individuals living in the United States or the UK. Meanwhile, searches about Rwanda in the East African region show a very different pattern. The top three search terms about Rwanda from those living in Uganda and Kenya are all related to jobs, and primarily come from three cities, Kampala, Nairobi, and Mombasa. Meanwhile, searches from within Rwanda about Uganda focused on news outlets, such as the Daily Monitor, New Vision, and “news Uganda” more generally. The most common searches in Rwanda about Kenya include Kenya Airways, the Daily Nation, and Kenyan universities. Understanding search trends can be useful for businesses and entrepreneurs, but they are also a cheap and easy way to do public opinion polling. In the U.S., search trends of the past couple of months have tended to mirror official polling trends for presidential candidates in the Republican party, for example. If you look over time, you can see the rollercoaster levels of support for candidates such as Rick Perry, Mitt Romney, Herman Cain, and Newt Gingrich. In the U.S., regular and nationally representative polls are conducted throughout the campaign period, but the more informal “search” polling can be very informative as well, and far less expensive. One challenge for using this type of data in countries like Rwanda and Uganda is that relatively few people are online, although the number of internet users is growing by the day. In Rwanda, approximately 13 percent of people accessed the Internet in 2010, up from 7.7 percent in 2009, according to the International Telecommunication Union. More and more people are using their mobile phones, rather than computers, to access the Internet, which makes it easier to get online. Although there may not be enough people using Google to get a good measure of public opinion in Rwanda, this will very likely be possible in the not-too-distant future. Already, one can observe trends in public interest in politicians among those living in capital cities. Searches for “Besigye”, Ugandan President Yoweri Museveni’s archrival, spiked within Kampala in November 2005, a few months prior to the heated 2006 presidential election, and spiked again to a lesser degree in February 2011, during the most recent election. It appears there was much more interest in Kizza Besigye leading up to the 2006 election (even with considerably fewer people online) than during the time leading up to the most recent elections, a trend which was reflected in Besigye’s support on election day as well. Online searches for Besigye spiked again in April, during the Walk-to-Work protests, but unfortunately for the repeat presidential candidate, by then the election had already passed. Despite the limited connectivity of the population living in Uganda, general election trends were evident in people’s online behavior. Finally, search terms can be useful for tracking trends in infectious disease. When people fall sick, they often turn to the Internet for information about their symptoms or illness. Tracking search terms can thus identify and follow outbreaks of particular types of illnesses. Google Flu, for example, uses data on search terms to estimate trends in the spread of the flu virus. Again, their data is best for countries in which the majority of the population has access to the Internet, but as Internet connectivity increases in countries like Rwanda and Uganda, crowd-sourced data on infectious disease may help health officials identify and address outbreaks. The wisdom of the crowd has for long eluded policymakers, investors, and even public health experts because it is costly to collect information from a large number of people, and people often have incentives to misrepresent their interests and beliefs. Using search trends, however, as one measure of people’s interests, opinions, and concerns, is one way to crowd-source information gathering in a relatively inexpensive and expedient manner. It’s just unfortunate protiy is not giving to current academic excellence but rather past glories. Taking a look at the national science & maths quiz, bascket ball competitions, wassce results,national NCCE quiz,and others Ketasco has become a school to be reckoned with.Why then will such a great school be left out of the 10 top school, aaa a school that gets first, 2nd and at least 5th position in these areas. Ketasco is the second best school after presec in Ghana for now but will soon assume the first position.Ketasco is an amazing school.